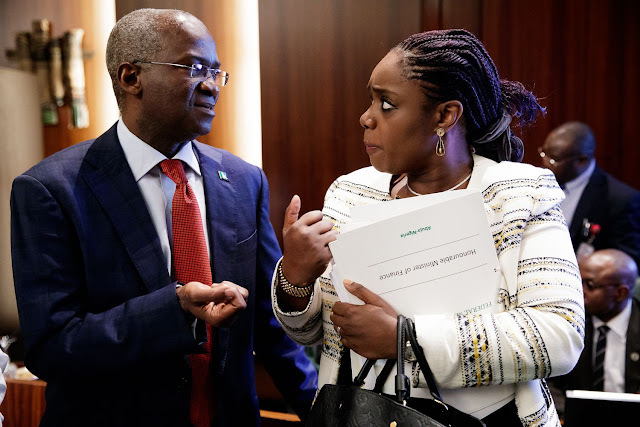 The Office of President Muhammadu Buhari has written the National Youth Service Corps (NYSC) demanding a thorough probe of the exemption certificate scandal involving the Minister of Finance, Kemi Adeosun. News broke penultimate week that the Minister who graduated from London East Polytechnic at the age of 22 in 1989, failed to comply with NYSC Act, which made it compulsory for every Nigerian graduate at home or abroad to participate in one year of mandatory service to the nation. Following the uproar trailing the controversy, the management of the NYSC said based on their records, Adeosun actually applied for an exemption certificate. The parastatal, however, failed to state whether the request was granted or not. According to Daily Trust, the Presidency has made a formal request, directing the NYSC to investigate the forgery allegation against Adeosun. “A formal letter was written to the NYSC and that the outcome of the investigation is being awaited,” a presidency source said. At the end of the Federal Executive Council (FEC) meeting last Wednesday, the Minister of Information and Culture, Alhaji Lai Mohammed, said since NYSC has spoken on the issue, the federal government has done so.